Interested in trying authentic Italian food in Norwood, MA? Bertucci’s is the local expert in Italian, offering delicious meals made fresh daily. Our made-from-scratch dough, specially grown tomatoes, and roasted vegetables are guaranteed to be fresh, no matter what day or time you visit us. Whether you decide to try our famous pizza, an heirloom pasta recipe, or a fabulous dessert, let us make your next meal out a magical one. We’re dedicated to providing Norwood’s families with delicious Italian cuisine that is handcrafted in our kitchen every day. If you’ve been meaning to stop in for lunch or dinner, but just haven’t had the time with your busy schedule, you might want to consider our carryout service. You can order off of our full menu, making it easy to get whatever Italian food you’ve been craving. Furthermore, if you can’t call to place your order, you can download our user-friendly app instead. 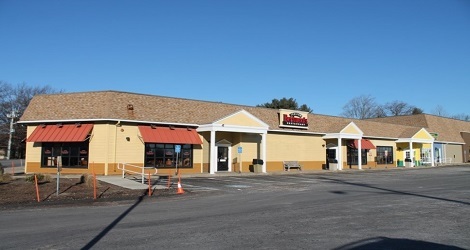 Convenient to The Walpole Mall, the Norwood Theater and just 6 miles from Gillette Stadium, our location is in a bustling area filled with amenities. After you’ve spent the day exploring the area, stop by for our Sangria, wine and a sweet dessert. We look forward to serving you in the near future, whether you dine at one of our tables or pick-up food to take home to yours!